Southland couples fight their banks to avoid foreclosure. It has been five years since the national housing bubble burst, and in that time more than five million homes have been repossessed due to foreclosure. California leads the country in that regard. But what your bank doesn't want you to know is this: you may be able to fight them -- and win. It happened for a Bakersfield couple who had purchased their dream home in a Salt Lake City suburb in 2007. Merrill and Laverne Chandler had planned to retire there but in the process lost their savings in the stock market. "All of a sudden, it's gone. And that's not a good feeling," Merrill Chandler told NBCLA. The foreclosure crisis is a simple bump in the road for those willing to fight their banks to save their dreams. The couple is in their 70s now, Merrill is still working in a warehouse in Bakersfield -- their dream home sitting in Herriman, Utah. For a while it was empty; for now there's a renter. Their story explains why. Last March, Merrill and Laverne, with the help of their son, Merrill, Jr, fought their bank over the foreclosure and won a summary judgement. 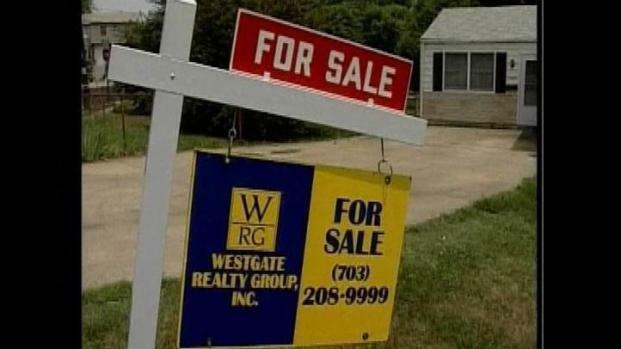 A Utah judge claiming the bank couldn't prove they owned the deed to the home, having sold it over and over on Wall Street, and therefore could not foreclose. Merrill Chandler, Jr. was so moved by his parents' plight, he started the National Association of Foreclosure Defense Advocates (NAFDA), which now helps poeple understand their rights in the field of securitized mortgages and teaches attorneys to defend the homeowners in court. Chandler, Jr. says when home prices peaked in 2006, it was the same time adjustable rate mortgages came due -0 higher home prices meant higher mortgages at refinancing time. "What's happening in Southern California is that people who could afford a legitimate payment for the home they bought are being reset to higher payments and they can't afford those payments anymore," he said. In a nutshell, the Chandlers' mortgage was sold to an investment bank, which spread the wealth to trustee firms which sold it to someone else and so on and so on -- each entity making money on the mortgage -- but leaving Merrill and Laverne with no clear answer as to who physically held the deed. The judge agreed. "We were very fortunate," Chandler, Jr. said, "because the judge saw that the securitization process occurred and he wasn't aware of who the owner of the debt was." In a summary judgment, the judge stated, "It does not appear the bank... was the proper party to initiate default." The Utah house became what's called a "permanent possession" for the Chandlers. “Basically, that tells us we can possess the property but we don’t own it," Merrill, Sr. explained. There is a catch, though -- if the Chandlers decide to sell, they still have to pay off the lein. But in the meantime, they don't have a mortgage to pay -- only property taxes and a promise that someone will occupy the home. Hence, the renter, for now. They plan to finally move in by summer's end. Millions of Americans are going through the same scary process as the Chandlers. Convention centers around the country have played host to different mortgage modification organizations. An event in January in Los Angeles brought out 11,000 people who waited for days in the cold to get a chance to refinance. A Northridge couple is going through the process now. Unwilling to identify themselves, they spoke to NBCLA and talked about the intimidation practices their bank has been using to scare them into foreclosure. "All we were trying to do is make our payments current," said the homeowner. He said the notice of default appeared on their front door in November 2010. "And they border it with bright blue tape so the kids can't miss it, the neighbors can't miss it. What they do is humiliate you," he said. But their foreclosure proceeding is on hold now that they've entered into a legal battle with the bank. They argue their mortgage was part of the securitization process and the bank can't prove they own the deed. Now they're banking on a judge agreeing with them. The feds have caught on to this - that because so many mortgages were securitized, a whole lot of homeowners who are in default may in fact have a right to their property if banks can't prove who owns the deed. Last month, federal regulators fined 16 of the biggest bank in the country - including Bank of America, JP Morgan Chase, Citibank and Wells Fargo - and by the end of May will require banks to improve staffing, training and record-keeping. For more information on foreclosures in your neighborhood, RealtyTrac is a nationally-known resource. You can get specifics on areas of the country, states, counties, cities and zip codes. NAFDA - the National Association of Foreclosure Defense Advocates - has a huge database of resources and contact information to see if your mortgage might be securitized. The U.S. Department of Housing and Urban Development has a website set up with resources about foreclosures: what to know, how to avoid it, etc. And for a history of the Housing Bubble and 2006 burst, you can CLICK HERE.